The Eight Immortals become very important in Period 8 and are legendary beings of Taoist sect, said to have lived at various times and attained immortality through their studies of Nature’s secrets. 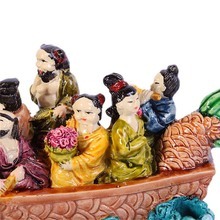 The Eight Immortals each represent a different condition in life i.e poverty, wealth, aristocracy, plebianism, age, youth, masculinity and feminity. Each Immortal with their magical symbols occupies on of the eight subdirections in the bagua and has their own magical animals. 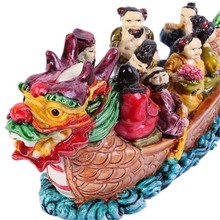 They periodically reappears on earth to help bless families with positive energy, bring good health, good fortune, wealth, fame luck, longevity and good descendants. 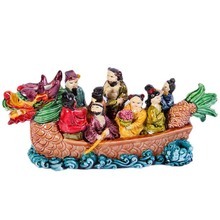 The 8 Immortals become even more important in Period 8 as the symbol of good fortune and prosperity for Period 8. 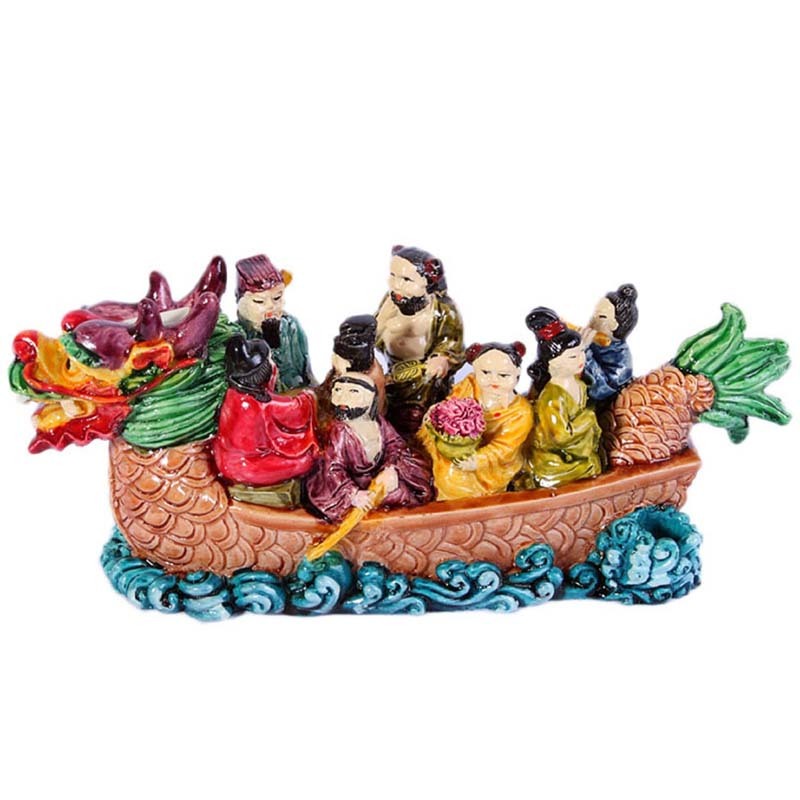 They are depicted here sailing on a dragon boat to the heaven, a symbol of guaranteed success and excellence. 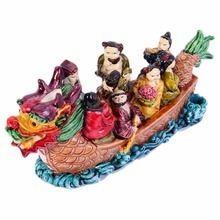 This is a masterpiece specially design for living rooms and offices. The 3rd Immortal is Lu Dong-Pin, who uses a sword to overcome evil spirits and slice through bad energies caused by bad “chi”. The sword was given to him by a dragon. He also holds the fly whisk which he uses to cure illnesses. 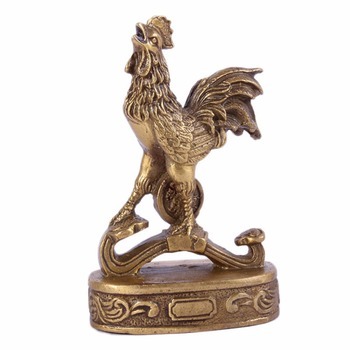 He also blesses scholastic luck to the family. His animal is tiger. He learnt Taoism magic from the chief Chung Li Chuan in AD750 and attained immortality at the age of 50. He had successfully rid the world with his sword from various forms of evils for over 400 years and still visits earth till today. 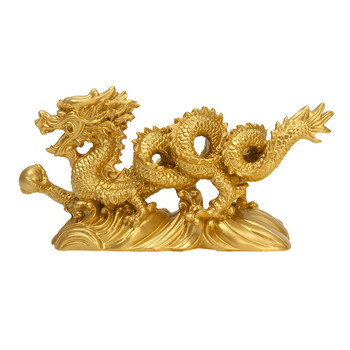 Taoist mediums can communicate with him through meditative means and his image at home will ward off any evil spirits. His direction is West and metal element. 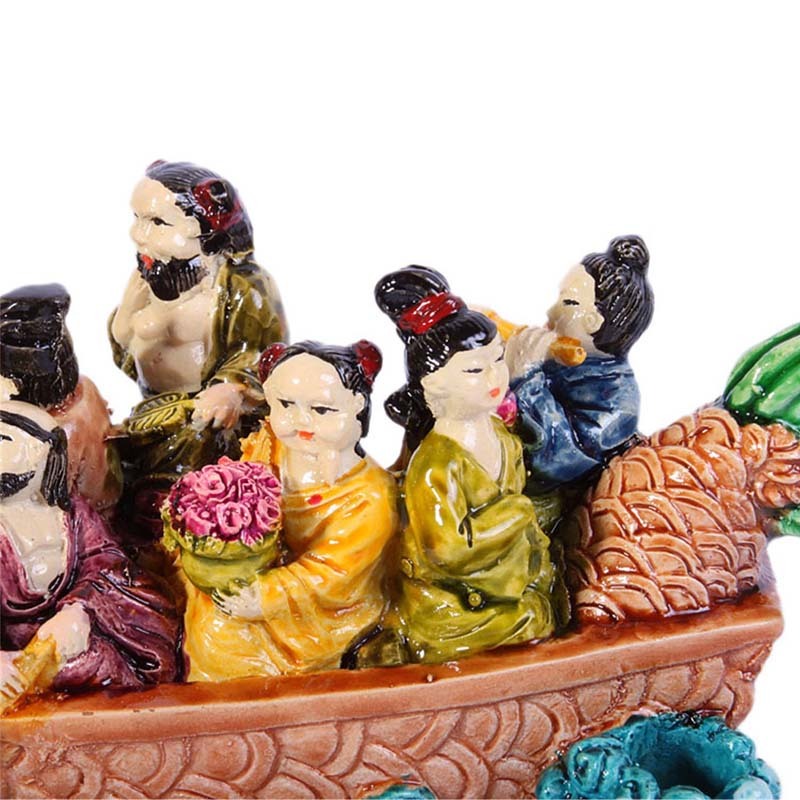 The 5th Immortal is Tieh Guai Li, who is the master of supernatural ability.He is represented as a beggar leaning on an iron staff for the following reasons. He attained so much proficiency in magic during his life that he was frequently visits the heaven. When his spirit leaves his body to the heaven, his disciple that he was truely dead and burned his body. On his return he discovered he had no way to enter back his burnt body and had no choice but to enter into the body of a dead beggar in the woods. He is therefore always represented as a beggar with iron crutch and a pilgrim’s wulou from which a scroll is escaping, emblematic of his powerf to set his spirit free from the body. He blesses one who needs money and cure any hard to cure illnesses from anyone sick. His animal is a lion which he used to visit the earth frequently. His direction is South and element is fire. 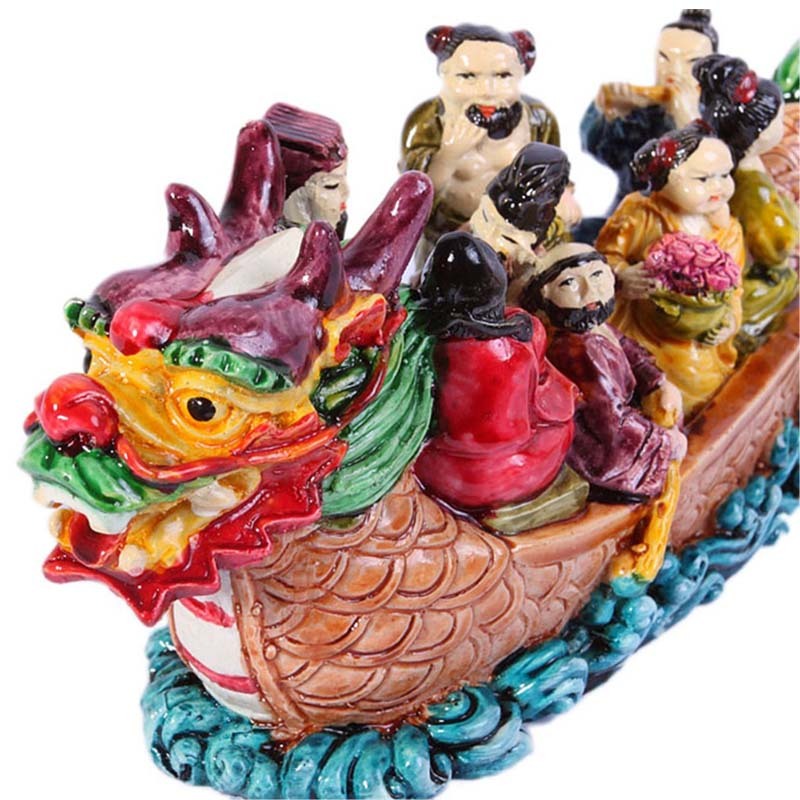 They are depicted travelling on the heaven dragon boat back to heaven, signifying that the deities had succeeded in helping you achieve your ambition, a symbol of success.